All Kinds of Beauty: Hello 2014! Well another year's gone by, too fast. The second half of the year was so busy I pretty much fell of the face of the blogging/internet planet. My goals for 2014 is to try to start again, with a little more motivation and a fresh outlook, we'll see what happens! Low-buy 2014! Yes, it is time once again for me to pull in the reigns and stop the excess buying that seemed to have taken over the last half of 2013. Buy less and shop my stash. I am not going to delude myself into thinking I can buy nothing, but I am going to try to return to the guidelines I followed at the beginning of last year. 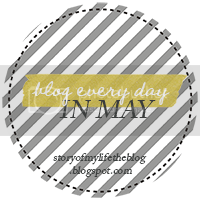 I will blog my adventure so everyone can follow along...and join in if you like! More posts! I have joined a group of like-minded ladies and hopefully they will give me the little extra motivation to post consistently.